I bought this beauty at the Holt Renfrew gift card event on February 10, 2012 - where you spend $250 get a $25 gift card, spend $500 get a $50 gift card, spend $750 get a $75 gift card and spend $1000 get a $100 gift card. I know this promotion isn't the best but it's good if you wanted something regardless and the gift card is a bonus. 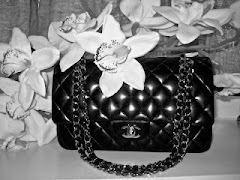 It excludes your typical brands like Chanel, LV, Hermes, Dior, Prada, Louboutin, and etc. 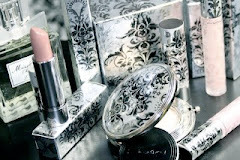 YSL was included - yay! So I visited Holt Renfrew before I had to volunteer. 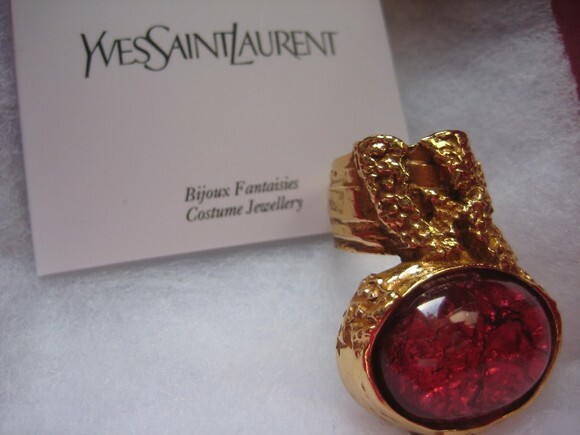 Then I saw it..the last YSL arty ring, in my size in the special edition hot pink stone for Valentine's Day with the word "love" engraved at the back. This ring was sold out on the official YSL website and I emailed them if they were getting more but they said they were not. This encounter was fate so I bought the ring. Holt Renfrew's YSL ring shipments are so sporadic. This was their second shipment. I saw the first shipment but didn't like any of the colours. It comes with a hot pink satin pouch since it's a special edition. 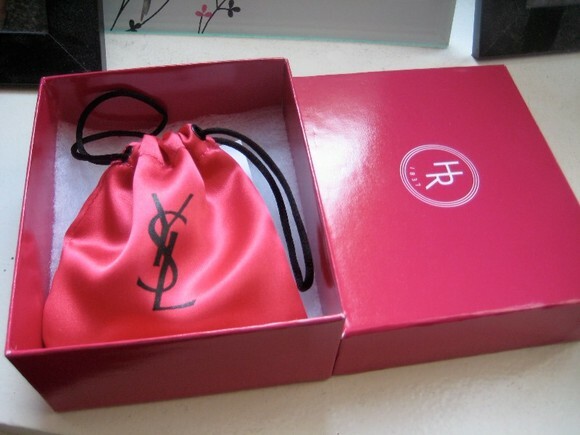 The regular YSL arty rings come in a white fabric pouch. The care instructions. 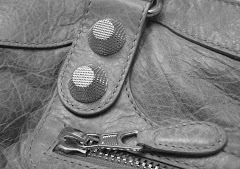 YSL will replace the ring if the hardware is damaged. But if you damage the stone then it's game over. The ring was $265 CAD. It retails for $250 USD. 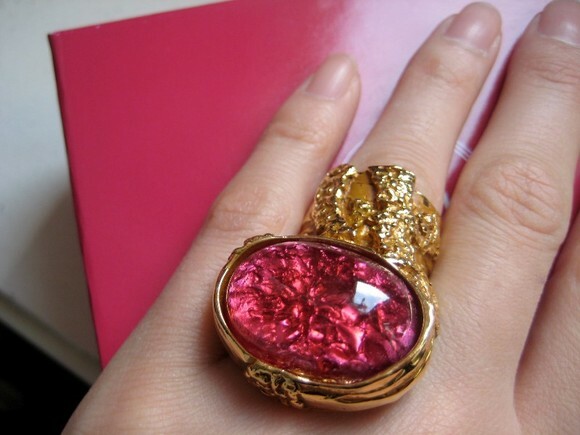 I am in love with the hot pink stone. The stone is super detailed. The sizing is fairly true to size. I bought it in my normal ring size, size 7. However, it is a tad on the looser side when it's on my ring finger - that's okay because when my fingers heat it up expands and creates friction so it won't come off as easily. I don't dare try to shove it on my middle finger in case it gets stuck. 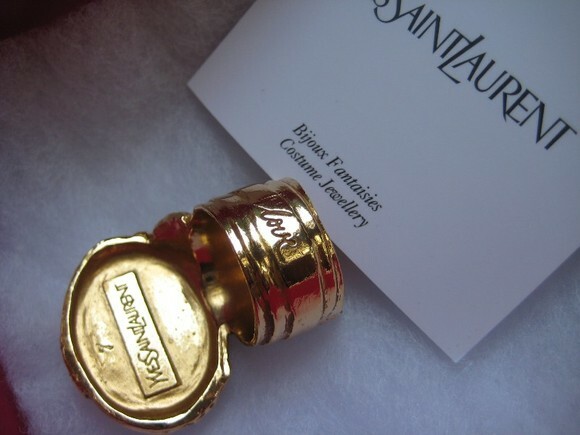 Will I get another YSL arty ring? Probably. Help me pick between the two blue ones! Either in lapis (deep blue) or the new light blue (deep and light blue speckles). I'm leaning towards the latter because I get the best of both worlds (light blue and deep blue) in one ring. Also, the speckled stone looks different, texture wise) than my love pink one whereas the lapis stone has almost the same texture as the love pink. 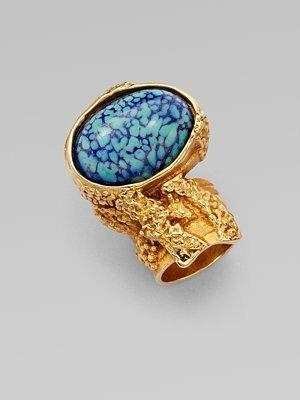 YSL arty oval ring in light blue from Saks Fifth Avenue. OMG, in LOVE. I went to YSL in Singapore looking for an Arty but they didn't have the one I wanted in my size. 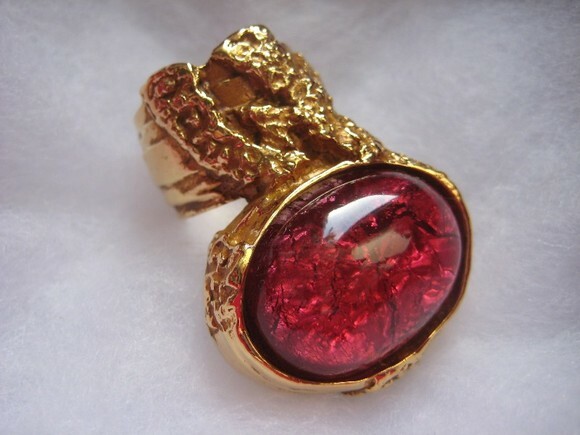 This hot pink stone is so pretty and the "love" engraving is too cute. Did you get the last one? Stunning! I love the pattern in the rock. I didn't even hear about the Holts sale, not that I would've bought anything, but still! I'm in love, and you know I'm jealous :) It's so nice that you got a special edition of the ring. I think the light blue version would be great for your second one! You should get one and we can be twinsies! 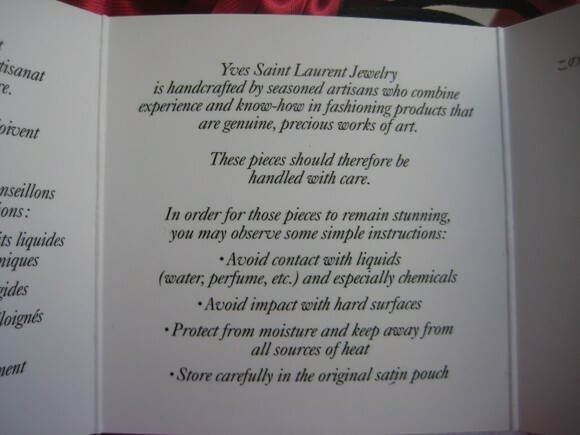 Then elle should get one too and we can be a YSL trio haha =) You said you wanted the lapis one right? Yeah there's something about that light blue....I'm so drawn towards it. I'd vote for the light blue for your second Arty! Initially I didn't like the Artsy ring because I thought it was huge and obnoxious, but the more I see it and the more I see it modelled I'm falling in love! The pink is a great colour and you're right; it was meant to be! I would also definitely say go for the light blue, it looks so unique. yeah i first i was like that too but then i got sucked in. most guys don't like the ring. i guess it's a male repellent haha. 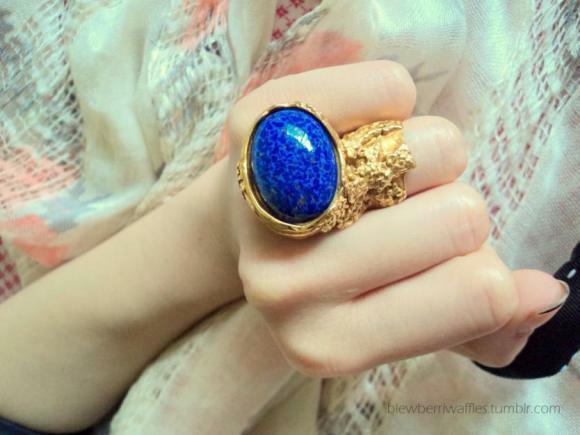 I think your second Arty ring should be the light blue one - it's much more interesting than the lapis stone! 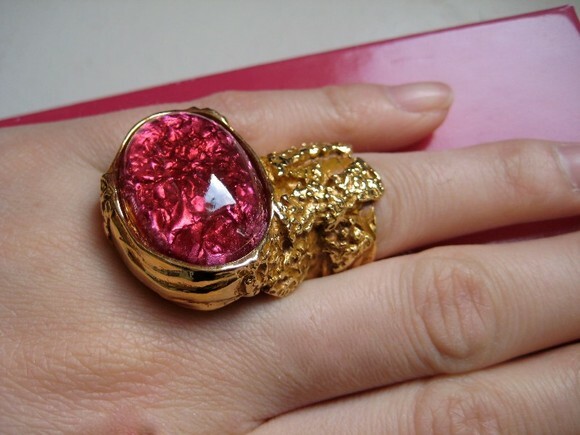 I've fallen in love with your LE hot pink one, the texture of the stone is so beautiful and I love the colour! Jealous! Oh my goodness Kerri! It's GORGEOUS! I can't stop looking at how beautiful the pink is - it's just absolutely dazzling against the gold. I don't think you could have made a better choice :) I hope you wear it tons! I wear a size 7 for my ring fingers for F21 rings and I wear a size 8 for my middle fingers in F21 rings. Thanks for the compliment hun! I was sooo drawn to it. I was convinced my first one would be blue and my second would be a red/pink. But the timing was right so why not right?! i've never seen the pink one but it's so beautiful! it's especially lovely because the word "love" is inscribed in the ring..
OOOOOOH ive never seen the pink one!!! 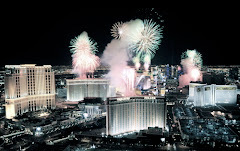 its beautifull, im so envious right now! and with regards to the blue ones, theyre both very pretty so it hard to choose. Sooooooo pretty!!! I love this colour! I think its my favourite from all the pictures I have seen! This ring was meant to be yours! The ring is amazing and you have such a great taste!! Could you please help me to recognize my arty ring size? I have to purchase it online, but I really don't know wich size to choose.. I misured the diameter of my finger and it's 5,5 cm. Wich size do you suggest to choose? Thank you so much!! hey i'm a size a 5.5cm as well. I got a size 7. it was a bit loose but it was okay. size 6 was definitely too tight for me. A size 8 would be wayyy too loose. Size 5 = 49 mm, Size 6 = 51 mm, Size 7 = 53 mm. Thank you!!! You're very kind! eep! you should. it suits you =) what colour would you get? I've worn it almost everyday - I love it so much! Though like you, I don't dare put it on my first finger (sometimes it gets stuck on my ring finger)! Hi babe, just checking, are you looking to sell the ring?